The Society was originally founded in 1929 as a Meccano club by our founder Mr. Wicks for his two sons who were interested in the construction sets at that time. Other members joined and the interest spread to railway modelling. After the war, some of the previous members in the area got together and decided to continue the Society. It was at this time that the name was changed to The Maidstone Model Engineering Society to reflect the wider interest of the members in other forms of modelling. Regular meetings were held at members home workshops as well as meeting at the Maidstone Technical School workshop. At this time a portable track was constructed and this was used at various local events in order to raise funds for the construction of a permanent track. The track in Mote Park was originally constructed by the members in 1949 and opened to the public in 1950. At that time the track was just an oval shape and had rails for 5", 31/2" and 21/2" gauge locomotives. In 1961 the members extended the track to the present shape and length of 1826 feet. At that time the 21/2" gauge rail was removed. 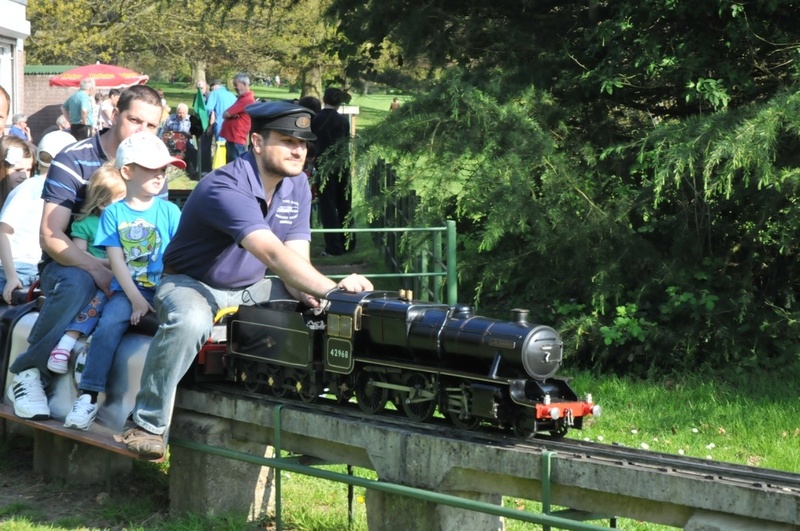 The railway is operated to give rides to the public every Sunday and Bank Holiday Monday afternoon during the period of British Summer Time. It is open from about 2-30 to 5-00pm. The fare is presently 30p per ride. The members of the Society in their home workshops build the locomotives used on the railway and the majority are coal fired steam engines, being scale replicas of the full sized locomotives. A smaller number are petrol or electric powered and the Society has a petrol-engined locomotive that is used at busy times when we are short of steam locomotives. The members are under no obligation to run their locos and receive no reward other than the pleasure in seeing their models put to the use for which they were built. The Society also holds meetings for members at other times. We meet at the clubhouse on the first Friday evening of every month. These meetings may be Bits & Pieces Evenings when we get together to chat about and look at whatever members are working on at the time. Or we may have a Video Show or a talk by an invited Guest Speaker. During the Summer most evening meetings are scheduled for members to run their models for their own enjoyment or use a smaller model that may not be suitable for Sunday running. The meeting in March is always the Society's Annual General Meeting. During the summer months, we also meet on the third Wednesday afternoon of each month when those members who are not working can use their models on the track. Occasionally, a visit will be made to another Society track, either as a club visit or by general invitation to various Open Days. These will usually be held on a Saturday. Membership is open to anyone who is interested in Model Engineering in any form, whether you are an experienced modeller or just thinking about starting and looking for advice. Junior members can be accepted from the ages of 12 to 18 years. Anyone wishing to join the Society is encouraged to come along to two or three of our meetings and make themselves known by chatting to us so that we can get to know them, and they can be sure that the Society is right for them. At that time, they will be given an application form that must be returned to the Secretary and this will be considered at the next committee meeting. Successful applicants will be asked to pay an entrance fee of £10 plus their annual subscription of £25 for adults or £15 for juniors. Members will receive a newsletter about three times a year keeping them informed about forthcoming events and other articles of interest to members. Members are able to have steam boilers tested by the Society, as any steam model used must have a current certificate. 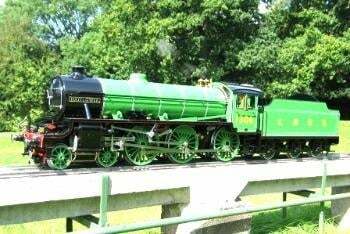 Models can also be insured through the Southern Federation of Model Engineering Societies insurance scheme, which also offers personal accident and public liability insurance services to members.